Infinity welcomes you to the magical world of pleasure and enjoyment. We provide you with a special and intimate location to relax and escape. Our mission is to provide our valued guests with quality services from the most professional classic massage to the most exhilarating sensual massage possible. Let the soft, sensual hands from one of our charming girls mesmerize you and make your troubles disappear. You will experience a reality like never before, a realty of relaxation and harmony of the body and soul. For each type of massage you can choose between one of our new oils depending of your activities or wishes. 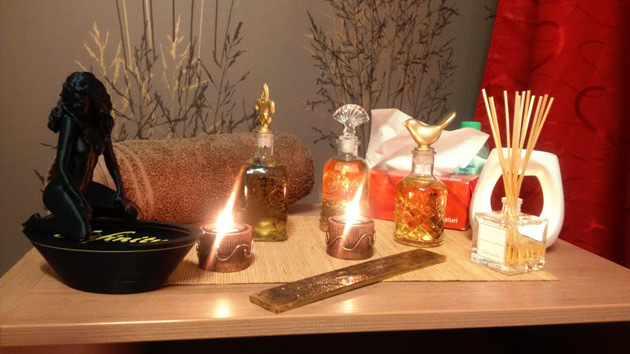 We present their benefits during the massage in the following pictures. This could be just what your relationship needs! In the basis of a successful massage it's relaxed attitude and free of inhibitions. To be able to make a broader idea about this type of massage, we invite you to watch the video. Massage for couples to our Parlor: 500lei/1 hr one lady. Massage for couples to Hotel: 600lei/700lei Poiana Bv. Couple massage for Couple to our Saloon: 600lei/1hr 1lady & 1man. Couple to Couple massage to Hotels: 700lei/ 800lei to P.Bv. 1hr / 1lady & 1man.